These are the instructions to root Xolo X1000 (running on android 4.0.4) Smartphone using Cydia Impactor tool on Windows Computer. Requirements: Your Xolo X1000 Smartphone should have at least 50 percent or above battery to perform the rooting process. Step 1: Download and Install Xolo X1000 USB Driver on your Windows Computer. Step 2: Enable USB Debugging mode on your Xolo X1000 smartphone. To Enable USB Debugging: Settings > Developer Options > USB Debugging (Tick to enable it). Step 3: Now connect your Xolo X1000 smartphone to the computer. 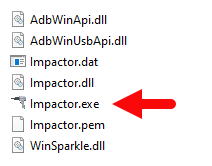 Step 5: Now, Open Impactor.exe (you have extracted this file in step#4). 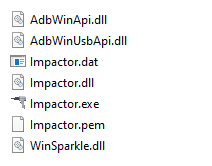 Step 6: Once Impactor.exe file is launched you will be able to see the following screen. Now, to begin the rooting process Start Button. Step 7: Once rooting process is completed you have to restart your Xolo X1000 smartphone. Step 8: Now your Xolo X1000 is successfully rooted. To verify this, Open Applications Menu On your Smartphone and search for SuperSU app installed. [*] No data loss process: Your Phone Data like contacts, pictures, videos, music and etc will be not affected with this method. [*] Warranty Void: Your Xolo X1000 phone Warranty may be Void after following the above tutorial. [*] The above tutorial will not install CWM recovery on your smartphone, it only guide you to root your smartphone by installing SuperSU application on the smartphone. [*] Credits: The Cydia Impactor tool was provided by Saurik (Developer). So, full credits for the Cydia Impactor tool goes to him.